The Manta Mirage was a strange low volume car kit car built from 1974-1986 out of a small garage in Costa Mesa, CA. It was styled to look like a McLaren M8 CanAm race car and was featured prominently in low budget Hollywood films in the day, first as one of the 48 cars stolen in HB Halicki's 1974 Gone in 60 Seconds and later in the 1975 Death Race 2000. Recently we searched for one for Chuck, who seems to be the only surviving actual McLaren M8 racer still on the planet, but wouldn't you know that one would show up on eBay a few weeks later. 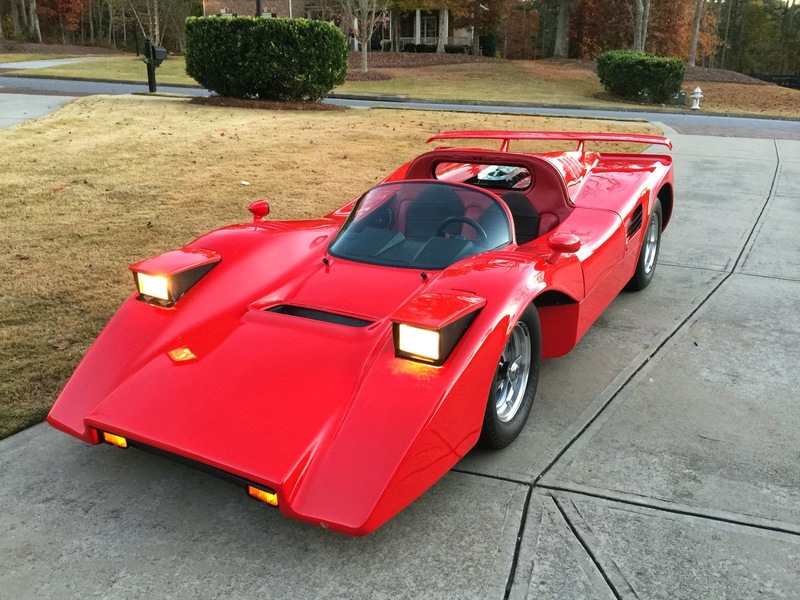 Find this 1985 Manta Mirage here on eBay currently bidding for $17,700 reserve-not-met with about a day to go, located in Alpharetta, GA.
Manta Cars was run by brothers Brad and Tim LoVette -- they used a space frame with a mid mounted V8 to produce the closest thing to a race car you could buy and legally drive in the 70s. Forget going fast in something from Lamborgini or Ferrari, this was the real deal, ready to break the speed limit in any gear and get high centered on small speed bumps. 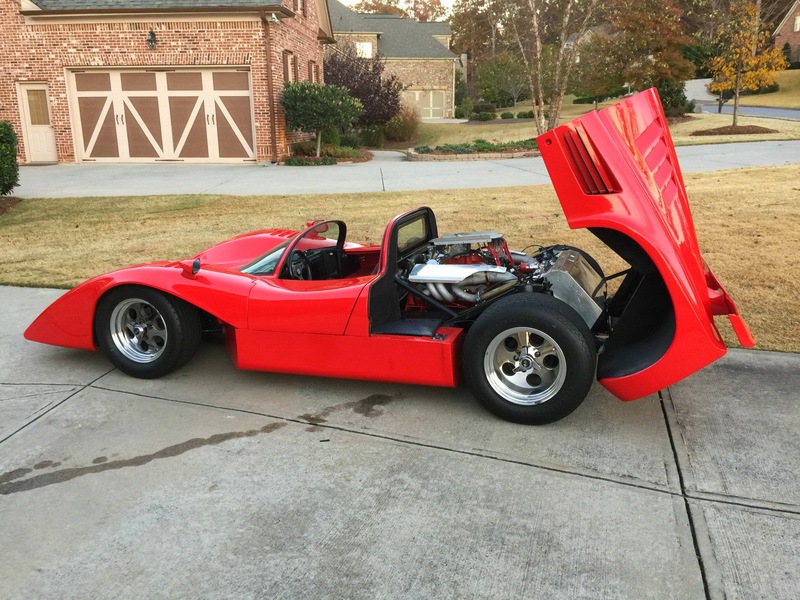 The Mirage is technically a kit car because Manta Cars supplied in parts to the customer and it was up to the buyer to use this assembly guide (from Mantacars.org) to build his Manta. Most Mantas used a Chevy V8 mated to a Corvair transaxle via a Kelmark adapter plate, but it was up to the buyer to assemble the car for final DMV registration as a kit car. The Manta won't wow you with creature comforts on the inside -- in fact you should always get a signed consent from your passengers, not because you sit shoulder to shoulder, but because shifting into reverse will require some uncomfortable touching in private areas. But this is the one you really want! that ended up in Canada. I remember that it was for sale in the Road & Track classified ads, and that the owner said he drove his kids to school in it for 3 years. The proportions are pretty amazing. It is like a pine derby car thought up by a car loving 12 year old. It has to be a blast to drive.